HVAC Design and Installation | Willco Air Conditioning, Refrigeration & Heating Inc.
We are in the business of HVAC designing and installing high-quality air conditioning and heating equipment tailored specifically for your comfort and needs. 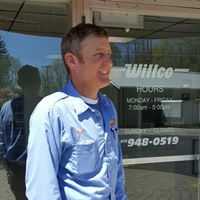 Our comfort advisor, Bill Cowan, Owner and Operator of Willco Heating, Air Conditioning & Refrigeration, Inc. has over 40 years of experience and has been trained in all manner of HVAC equipment to provide you with the most efficient, reliable and cost-effective products. You can count on Bill to listen carefully to your needs and come up with a system that will be designed for you.